Facilities: Our building is all on one floor and is completely handicap accessible. There is plenty of off-street parking for all. 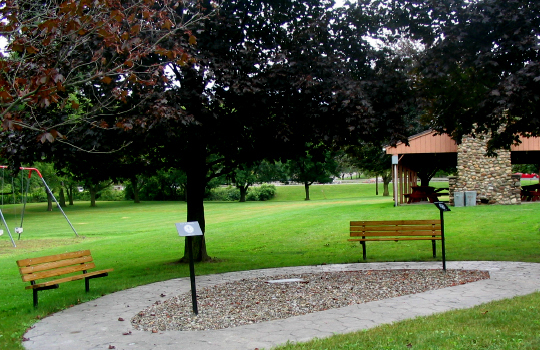 The Parnell Pavilion, located on the north end of the church, is a large picnic pavilion where we hold outdoor services and other gatherings during the summer months. A playground is available for use by the children. We encourage you to take some quiet, contemplative time for yourself by using our permanent labyrinth located behind the church. It is open to the public. 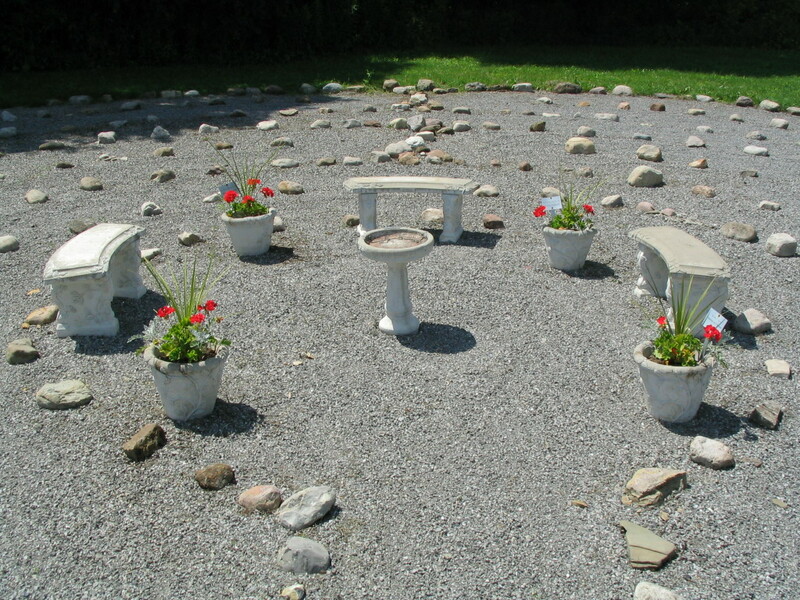 Our Memorial Garden, come to this sacred place, sit on one of the refurbished benches, take in this lovely bucolic setting, and take the time to enjoy this restful and peaceful setting for each person’s own contemplation.